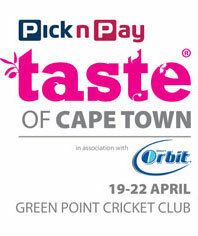 While I was in Cape Town last week, I found out that my all-time favourite Food Festival, Taste, is now happening down there too (apparently my Mom went to last year's one). Sadly tho, I'll be back in Joburg by the time it happens on the 19th - 22nd April. * Please note that this gets you free access into the venue and a tasting glass, this does not include any crowns. Amazing Italian restaurant on Barrack street. Il Cappero. Olymipic Cafe in Kalk Bay for really good casual food. Great bakery as well. Jewel Tavern for authentic Taiwanese cuisine! The flavours are different from typical "Chinese food" and they have dim sums....!